Business travel is way less glamorous than it was 20 years ago. Airlines have cut back on the services they used to offer to conserve resources and save money. There are longer lines at the airport. And flights can be, well, eventful. But that doesn't mean your business trip needs to be a nightmare. 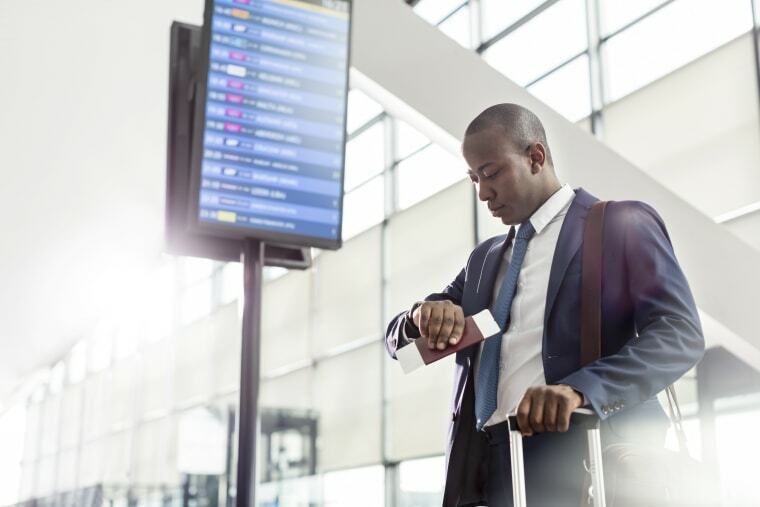 Here are five ways to take the headaches out of business travel. It's tempting to wear sweats while traveling, but you never know who your seat mate will be; and airline crews are more likely to give you an upgrade if you look the part. Most airlines offer easy remote check-in on their websites. And apps like TripIt and Expensify can help you stay on top of your itinerary, expenses, and loyalty rewards all in one place. Set your watch to the local time at your destination before you leave. Drink plenty of water. Wear breathable layers. And sleep only when it's dark in your host city. It's so easy to stay up late, skip your workout, and eat junk on the road. But back away from the free donuts. A healthy routine will keep you sharp and focused for big meetings. There's nothing worse than getting sick on a business trip. Wash your hands religiously and bring plenty of sanitizer so that you can de-germ everything from you in-flight food tray to the remote controls in your hotel room.